With the possibilities being further opened up on customization to come, I thought they might take a page from NetherRealm’s Injustice 2. A select few characters in that game have an optional bonus skin that is quite pricey and can be purchased with MTX, but turns that character into a new character via looks, dialogue, and sounds while the move set remains identical. 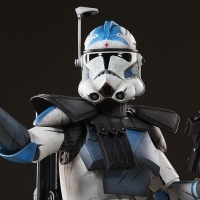 I think that’d be a great model to follow in Battlefront 2. 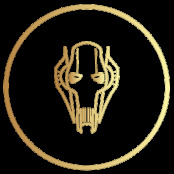 They could be set at a premium price of say 100,000 credits or a few thousand crystals, and along with changing the character’s looks, it could come along with 3 new emotes that are locked to that skin. No animations would need to be changed which would make it very practical to implement. It’d require little effort on the Devs part aside from some minor voice acting. 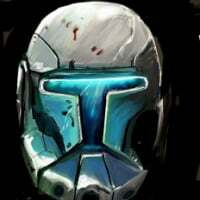 However I would NOT use premier skins to implement characters such as Jango, Padme, etc because they are too important to Star Wars to just stuff in underhandedly. They’d deserve actual hero spots, but this would be a good way to expand your hero roster to other minor characters without taking up any spaces. ........you serious? Forget “skins” they need to be heroes! I actually really quite like this idea OP. Characters like Savage definitely DON'T deserve to take up spots on the hero roster, but having them in as clone characters could definitely work. Not really wild about your picks or Cradossk or Tarfful, but the idea is definitely solid. That being said I can't really think of any other viable alternatives, lol. You really want these minor guys to have actual spots? To each their own I suppose mate, I can understand wanting your favorites to make it. Technically they would be “heroes” per se just not of their own design, it was a really popular and well received idea on NetherRealm’s part for Injustice 2. I know I had no issue buying source crystals to unlock John Stewart Green Lantern premier skin and to me that was satisfying to play as, and I think it’d work super well in this game. Tons of possibilities for alternate similar characters. Pre Vizsla premier skin for Boba perhaps? 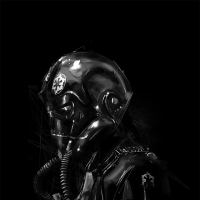 Darth Sidious skin for the Emperor like mentioned above? Cassian Andor premier skin for Han Solo in case he didn’t make it into a Rogue One content drop? It'd be a good way to get lots of Lightsaber characters. Minor ones like Aayla Secura or Ki-Adi-Mundi could be put on top of Luke or Rey's move set. The only problem I see is in HvV if someone else is Maul, you won't be able to be Opress. I want the Last Jedi Luke skin & The Force Awakens Solo...........Star Wars fans around the world will pay a premium to let these iconic heroes #LiveForever. Not really a big issue imo, no different from your main hero being already taken. Everyone and their nans are playing Luke right now because he has a new skin, but I haven't seen anyone up in arms that they can't play Luke. I think it's a bit different when it's the same character in a different skin compared to two different characters who share a single character slot. Not for main characters, just for those characters people want that aren't worth creating a full hero moveset for. 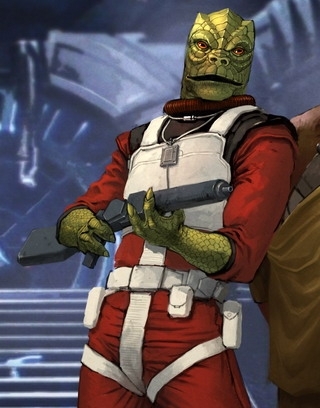 If Bossk and Iden arent "minor guys" then I don't know why Savage Opress would be considered one. Not only is he voiced by the Legendary Clancy Brown, but his entire style is different than Maul. Savage is a tank when it comes to physical damage, but an absolute pushover when it comes to force powers defense. He is definitely not the speedy fighter maul is. I mean really once we have Doku and General Grevious and Jango that fills out all villains with any real film screen time. Who do we get after that? 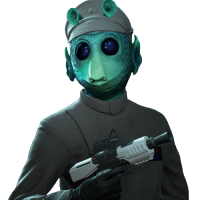 The "walking Meme" Greedo? The "literally an extra" Dengar? Now don't get me wrong, I would like those guys to make it as well, but they are the definition of minor guys. 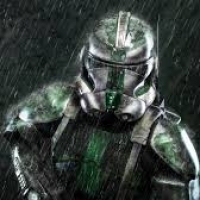 As long as a character can have an interesting play style they would be a great addition in my opinion, and with how much of an overhaul they put into progression makes it seem like they have long term plans for this game, which means after a few releases all the remaining major players will pretty much be covered. Also, and this is actually the main reason I don't like the idea, it would stop those characters from being together, even though they belong together. If some one plays Savage Oppress, Darth Maul would be locked. It's like the Han Lando glitch but by design. Injustice has the benefit (in this situation) of being a one on one format, where this works much better than a team format. I could see how this could work, and if it was the only option for these characters to be included then it would be better than nothing, but I think it would really unfortunate to lose the unique character styles and just have them as skins. No. I don't want this. Savage should be his own character. Every skin should be attainable via playing, even if they are very expensive. These skins would be so cool and I would consider paying for them. I only used Savage and the others as examples, sorry if some of you misunderstood that. I get this, I really do, I was just trying to have a realistic outlook on who we get as full slotted heroes in the future. Personally it seemed unlikely to me to have 2 separate dark side double blade users, even if savage would have a pretty cool style of brutish, animalistic attack moves. But if he did enter the game as a full fledged hero I wouldn’t oppose it in the least since you’re right, there are quite few A-list villains before you start getting obscure. The design of a system like this wouldn't be a lockout on Maul to someone selecting, for example, Savage simply because in game they'd be the same person. Luke didn’t get a second selection on the hero bar just for the Hoth skin that locks the other out, it’s purely a personal skin on your hero. It'd be exactly the same as it is now when a hero is already chosen. To the other teammates on a HvV screen you’d have Maul selected, it’d be Maul exactly just with a skin that you paid for to have him converted to Savage. Then he’d have Savage emotes and banter that is unique to that skin. It would be I know, especially since most characters are quite unique. Maul and Opress together would be a sight to be behold(a terrifying one). I just think at some point they have to start making hard choices of who gets included and I want to see a large variety still make it. Like a Quinlan Vos skin on maybe Luke or a future hero. I’d pay $$ for that if it was implemented as a premier skin. 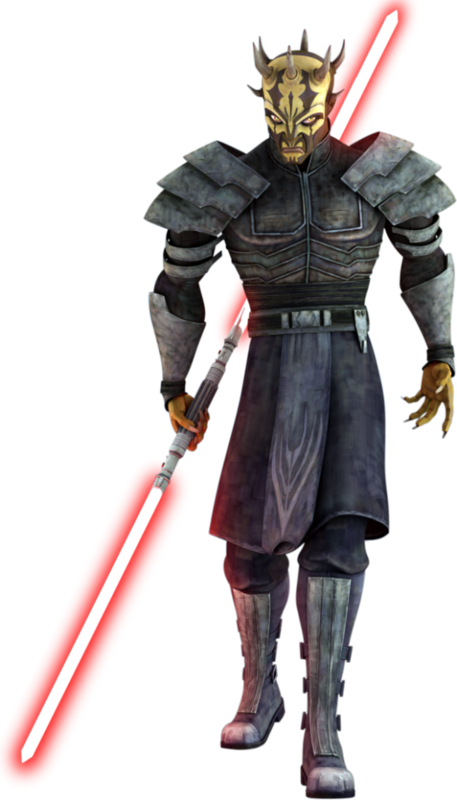 You're still thinking too small, I don't just want two duel Lightsaber darksiders, I also want the incredible Master Pong Krell! I’m down for that lol that would be awesome! Maybe @Guillaume-Dice @TOTALfps @Mr_Taver you guys could pass this premier skin system around upstairs? I’d really like to know what the team thinks! Not every named character will get made into their own hero/villain... That's just how it is. But a Premier Skin for MTX would be the next closest thing, right? I'm okay with this if it means we can see a larger influx of named characters. 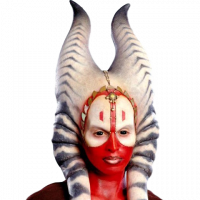 Depa Billaba would probably never win any popularity contests, to get her own spot in the game. But if she was just a Premier skin, she'd still be an option, at least? Same with Kit Fisto and Master Plo Koon. It would be cool, but I'm not sure... as long as they put the option to change your skin in the spawn menu, I'd be down for it. This is exactly what I’m thinking that’d make this such a valuable system to add into the game. I mean it’s Star Wars! Everyone’s going to have a different favorite character that might not make it as their own hero, but this would give them the option to be who they want regardless. 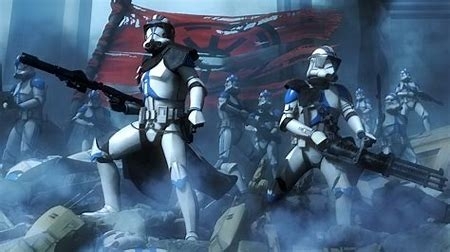 The customization would absolutely have so much more depth and possibilities if alternative character premier skins became a feature. Hate Rey for some reason? Pay €5.99/150,000 credits and get a Aayla Secura premier skin for her! 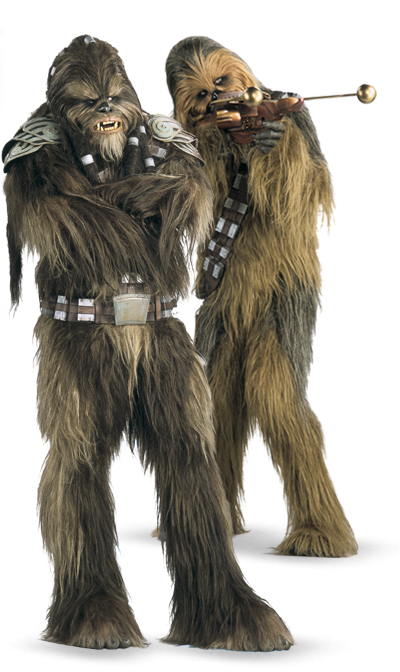 We get Greedo and you want to be Jakoli instead? Premier skin. It’s a win win for EA and the fans. No current hero gets bumped from their spot unless you want to switch it up and the other spots are opened up for the highlight heroes/villains. This has been talked about before and people didn't like how characters didn't match styles. Like said above some characters don't have the same style of fighting etc and would cause problems. I agree I don't want to see a character acting like they shouldn't. I think the point was that they had different move sets and play styles. For example , with Maul and Savage Oppress, Maul is more hit and run, force oriented, very quick and nimble, whereas Savage is more of a physical tank - probably health on par with Vader, about the same speed as Vader as well I guess (quite slow), but not many force powers. Maybe a saber charge which works more like Rey's than Maul's, where he runs forwards, spinning his lightsaber side to side, and he can knock over anyone he hits. Maybe some sort of ground-pound as well? To some extent, we have to have more/new base heroes added for variations in fighting styles. From there; good premier skins *that actually fit the context* would be a requirement. As an example... Obviously we wouldn't want Gregar Typho being a premier skin for Luke. This, I heard we're only getting 8 additional characters anyways. So if I understood it correctly from Elliot on BattlefrontUpdates, we may in fact be getting some premier skins in the near future! Although I’m sure they’ll be rebranded as legendary skins and I’m questionable as to whether or not they’ll be representing different characters like I’d have hoped for, but it does seem like it’ll be satisfying some other people’s wants. I don’t think I’d expect anything other than those 4 to start with as they are the most logical choices, but I hope to be pleasantly surprised! 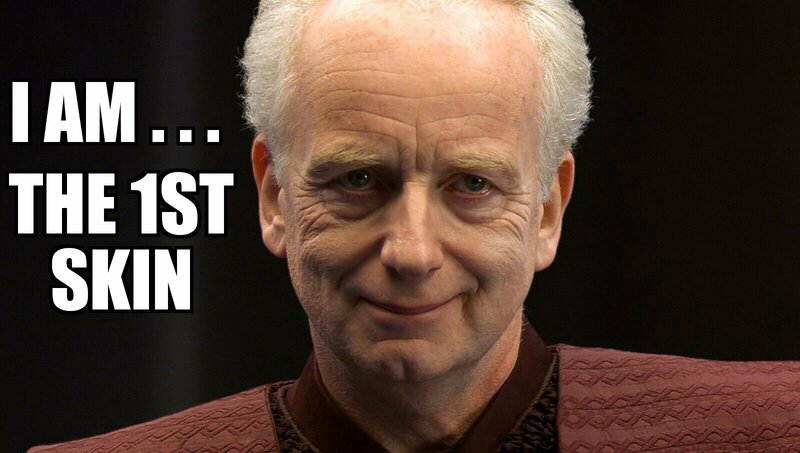 OMG NO it CANT, Would be beyond lame to see Anakin with Vader's moves, performing them at Vader's speed.